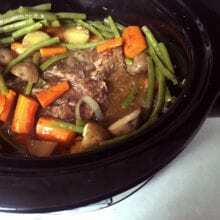 Pot Roast for a family of 4 with leftovers (or Coach G and Lillie and Roadie 🙂 ). 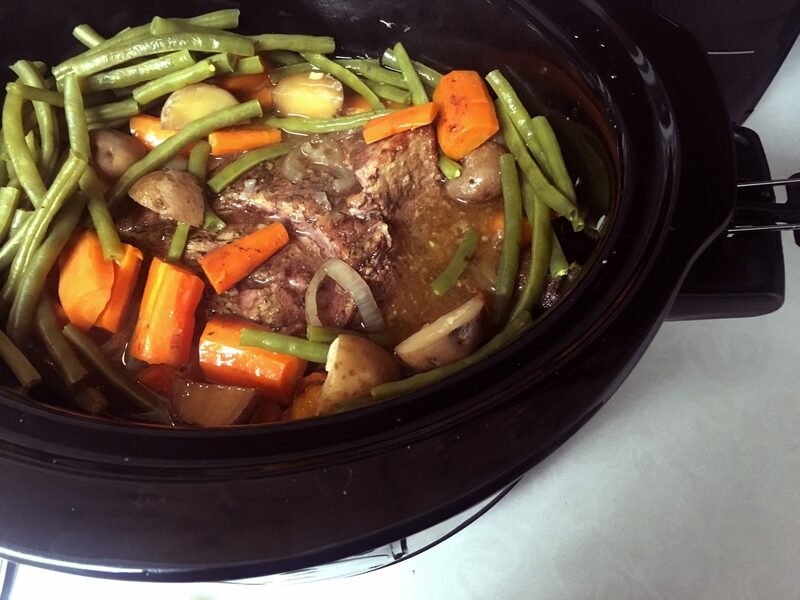 You will need a Crock Pot or Insta-Pot. For a family of 4 with leftovers (or Coach G and Lillie and Roadie 🙂 ) You will need a Crock Pot or Insta-Pot. Place mustard, salt, pepper, broth in crock pot or instapot—whisk to combine. Add chuck roast and coat both sides with the liquid in the pot (just turn it over a few times). Add any additional items lie garlic, onion, carrots, potatoes. Place lid on and slow cook 6-8 hours. If adding green beans do so with 1 hour left.